The key to homemade cleaning recipes is making sure that they actually work. You can spend a lot of time and money searching and making recipes that are so-so, when you need something that just works and does what it’s supposed to do. I have found that having a few good ingredients in correct ratios is the key. 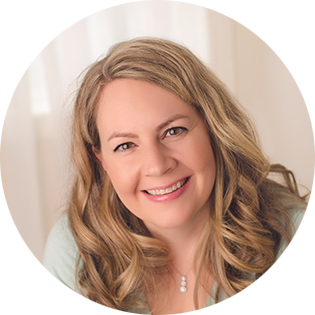 The recipes that I’m sharing with you in this series are ones that work great for me, they’re easy to mix up, and all use simple, all-natural ingredients. Earlier this week I shared with you my must-have ingredients for DIY Homemade Cleaners and today I have a free printable to go along with the series. Grab the printable, pick one or all of the recipes to try, get the ingredients you need and follow along! 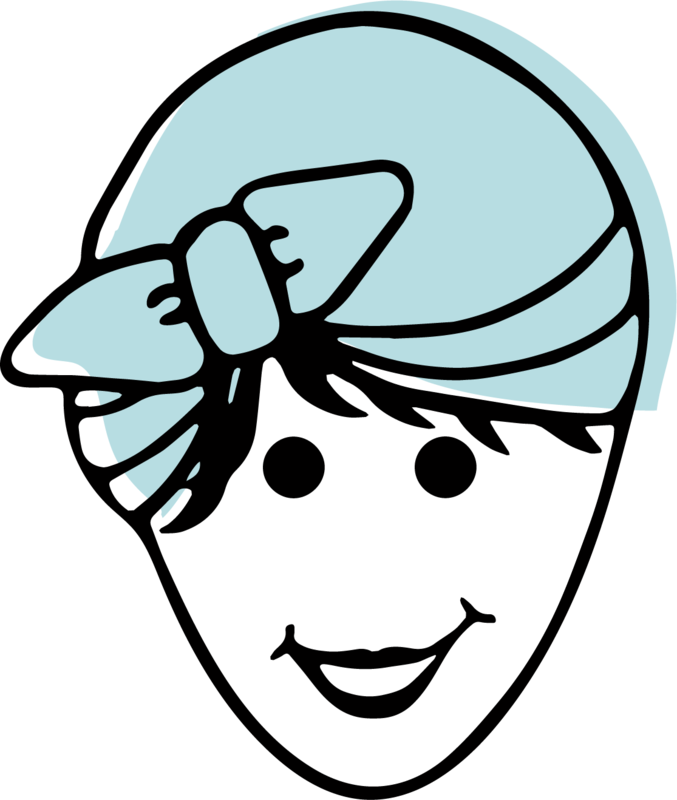 I’ll be working my way through the recipes over the next couple of weeks on the blog – it’ll be fun. 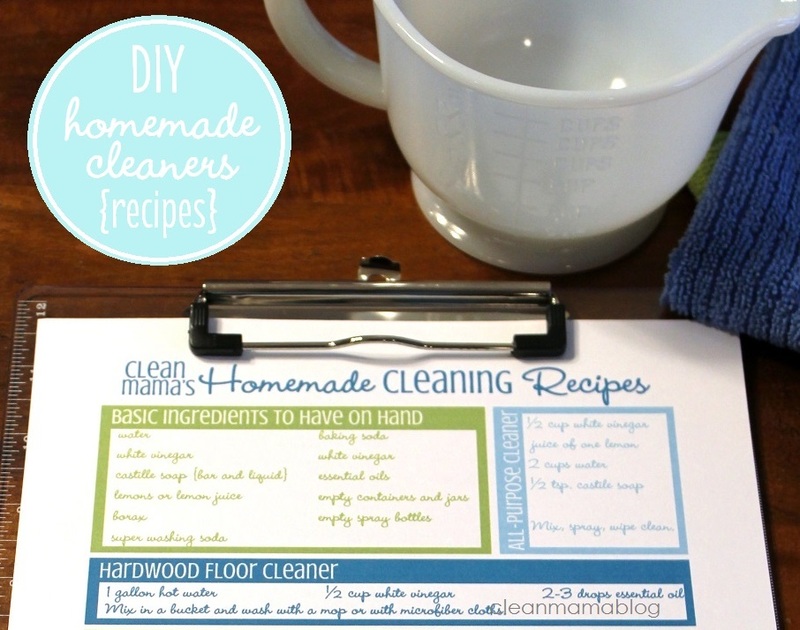 You can go here to get your free DIY Homemade Cleaners Recipe printable. 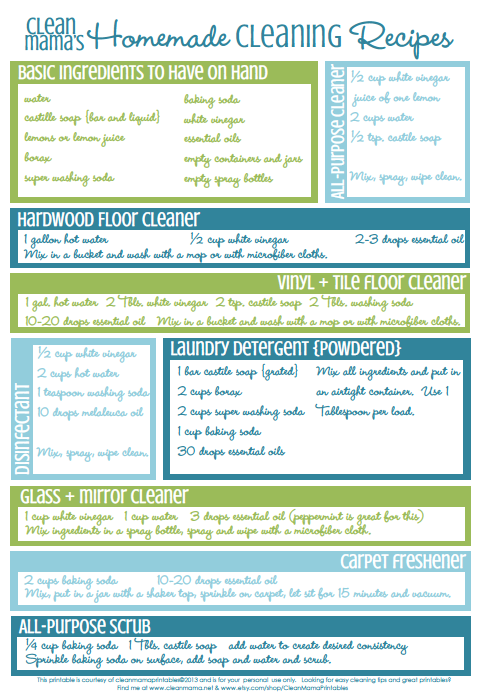 You can put it on a clipboard, in your cleaning bucket, or in your cleaning binder – it’s a great reference sheet! linking up at TidyMom, Somewhat Simple, A Bowl Full of Lemons, I Heart Naptime, and Tatertots & Jello. I’ve never heard of ‘super washing soda’ or ‘castile soap’. What are they and can they be found in a typical grocery store? Yes, both can be found at grocery stores, Target, Wal-Mart, and Amazon. I’m in the UK, and haven’t heard of super washing soda or Castile soap either. Please could you describe them more fully? Hi Sarah! Castile soap is a vegetable based soap and super washing soda is a natural laundry booster (it’s just baking soda that has been heated). In my experimentation, I totally agree – with the exception of the recipes that include it (the vinyl and tile cleaner and the all-purpose cleaner) – the ratios of soap are small enough that there doesn’t seem to be a reaction. I think there is a typo on the list. White vinegar is on there twice. Great list and recipes thanks for sharing. It’s corrected and updated 🙂 Thanks! I’m super excited to try some of these recipes! Even though I’ve been making my own homemade cleaners for a while, I have never used these particular ones. To Marie: I live in a very rural area and we have super washing soda at Wal-Mart in the laundry isle and Dr. Bronner’s liquid and bar castile soaps are at GNC and at Ingles (our only big grocery store chain) in the personal care section. Hope that helps. My favorite recipe is 1/2 cup vinegar, 1/2 cup water, and a squeeze of lemon! Thanks for the printable. We are in the process of getting rid of our cleaners, and doing homemade. The smells of the others really give me a headache. Bleck. Thank you for the free printable! 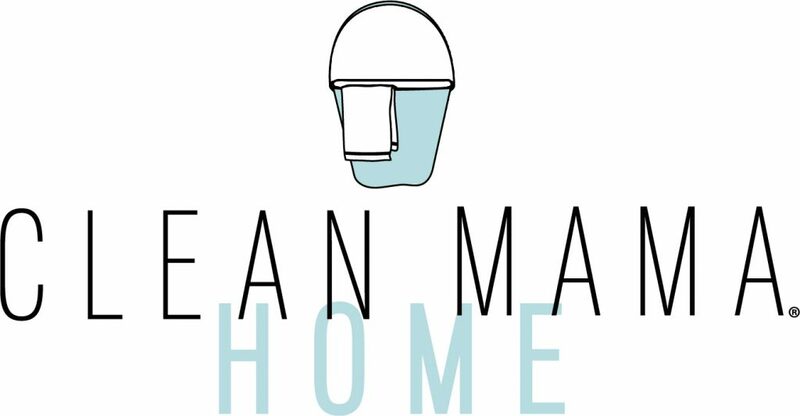 I have been thinking about trying homemade cleaners lately 🙂 I just wrote about how great your checklists are for cleaning on my blog improvingmewithkeialee.blogspot.com If you have time I would love if you checked it out! Thanks again! thanks so much. i just had 2 questions. 1 is the essential oil just for scent or does it serve a higher purpose. if so which ones are good to use. The essential oils add a great scent – which is what I’m looking for when I use vinegar b/c I can’t stand the pickle-smell. Some also have antibacterial properties – so I use melaleuca or On-Guard in the disinfecting cleaner and sometimes I’ll add it to my floor cleaner to give it a germ-killing boost. The ratio of soap to soda/borax is what works best for my laundry – cleans, softens, no residue and it completely dissolves. Thanks so much for the pretty printable! I printed it out & laminated it. I also shared at my Mothers & More meeting tonight. Hi, fantastic! We’re starting to move in to homemade cleaners… as in I have a jar with vinegar and orange peels. So really really just starting. I’m glad I found your blog, you have some great posts I’m going to click through after this comment. I was wondering if you had a grout cleaner? I saw some on pinterest but a lot of the comments on them said they didn’t work. Thank you for this printable. I love making my own cleaning recipes. I really like your PDF. That is a great idea! 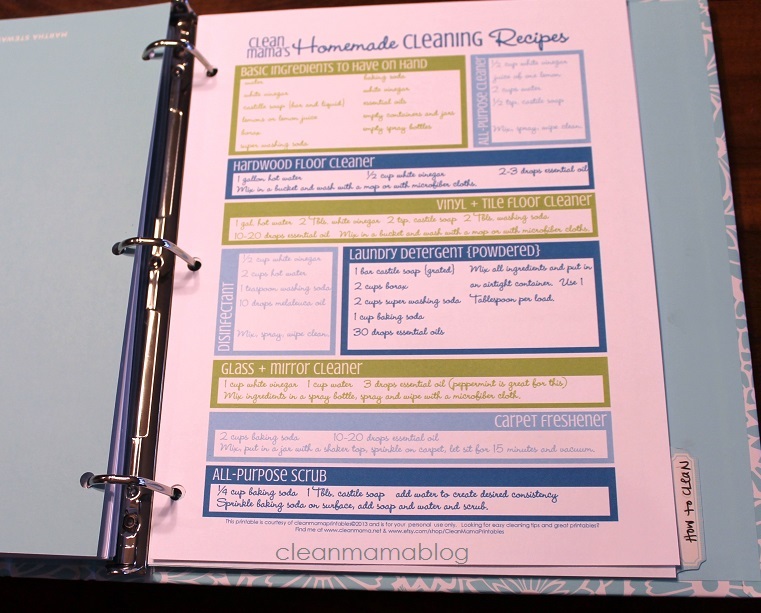 I use a lot of those recipes, the laundry detergent and all purpose cleaner are some of my favorites. Thank you so very much for these beautiful printables!! I really appreciate it!